Individuals from around the UK have chosen the support of a proven business model and distinctive brand identity in Rosemary Bookkeeping. Individuals from around the UK have chosen the support of a proven business model and distinctive brand identity in Rosemary Bookkeeping. We recognise that you may be seeking freedom from employment yet feel overwhelmed with ‘what ifs’ in starting your own business. By law, all businesses in the UK are required to keep records of their financial transactions which later are used for VAT returns and by an accountant to file accounts for tax purposes. Rosemary Bookkeeping Franchise Partners respond to the increasing need in the UK for an affordable, professional bookkeeping service that supports both the client and the accountant. Working in harmony with clients’ accountants and providing them with exactly what they need, in the format they want, saves everyone time and money. By using a Rosemary Bookkeeper business owners can concentrate on doing what they do best – running their business. Based on a bookkeeping business launched in 2002, the Rosemary Bookkeeping franchise has been established and refined to offer a unique bookkeeping system within a fully supported franchise package. All our Rosemary Bookkeeping Franchise Partners confidently follow the Rosemary System® to provide accurate and tailored bookkeeping for their clients. Qualifications are not always necessary due to our growth model, extensive support and quality control systems run by experienced bookkeepers and accountants at Rosemary’s Franchise Support Centre. This is a truly scalable business – work around the kids, family or build the business into a management style opportunity and manage your own team of bookkeepers, all using the Rosemary System®. You are not required to sit by the phone 24/7, allowing you to choose your hours between daytime, evening and weekends to fit around your lifestyle. 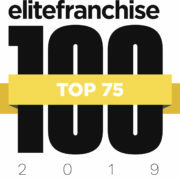 Rosemary Bookkeeping has one of the most comprehensive quality control systems of any franchise in the UK which ensures that we continue to have an excellent national brand reputation. 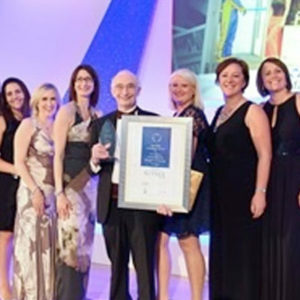 Rosemary BookkeepingTM and their Franchise Partners are frequently shortlisted in national awards.